I was given the opportunity to do a product review for an amazing company called Infinity Jars. I had never heard of them but after perusing their website I was very eager to try out their jars. 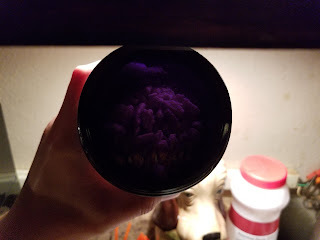 Infinity Jars are ultraviolet storage jars which claim to "slow down the decaying process of organic matter while maintaining the freshness of whatever you put inside". Their pigmented jars block harmful light rays and come with screw on glass lids which block odors and make them airtight. As you can see, very little light passes through even when held right under to a fluorescent light. I like to preserve everything. Fruits and veggies, herbs, seeds, nuts, you name it. I wanted to put these jars to the test. So, I decided to test them with something I knew couldn't last too long in a jar. Especially since I didn't want to spend a year waiting to see if my chia seeds went stale. 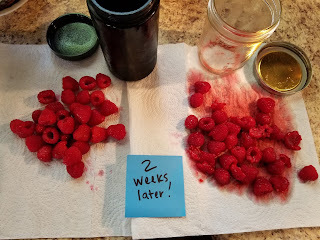 I decided to see just how long these jars would keep red raspberries fresh. 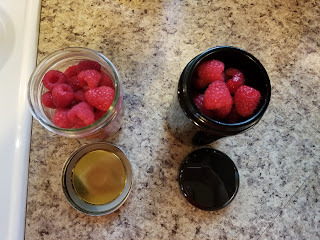 I put one batch of raspberries in a standard glass mason jar with a standard metal lid and ring. I put the other bunch in a screw top Infinity Jar (500 ml). Fresh berries ready to go in the jars. Both jars packed with berries and ready for the fridge. 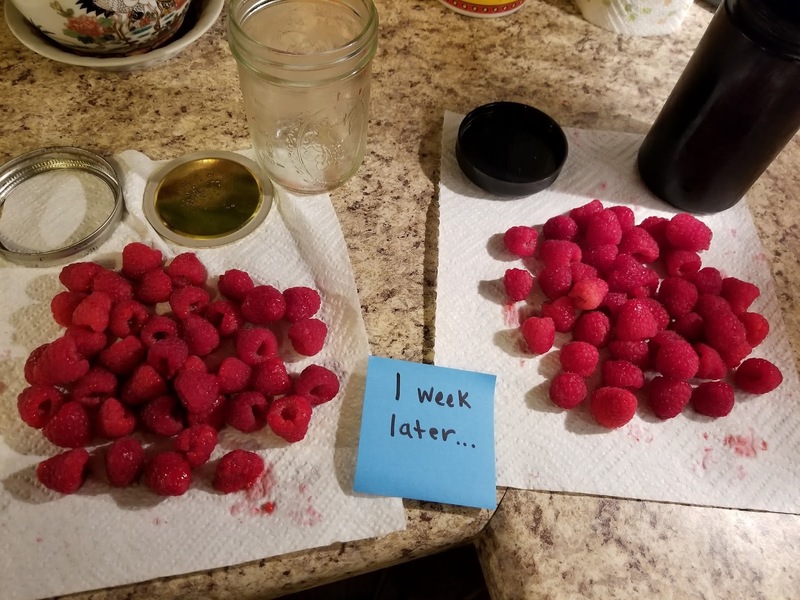 I went back and checked the berries in each jar after 1 week. I was fairly surprised with the results. I thought they were probably beginning to go bad. The berries in the mason jar were getting mushy, overly juicy and starting to sour. The berries in the Infinity Jar, well, they looked just as good as the day I put them in the jar. Firm, sweet and perfect. The berries in the mason jar were going downhill fast. I put the berries back in their respective jars, placed them back in the fridge and waited...another week. The following week I did the same test. Poured them out onto a paper towel to see just what changes had occurred with the berries. I immediately noticed juice in the bottom of the mason jar. Of course I couldn't see the bottom of the Infinity Jar so I turned it upside down to see if any juice ran out- It didn't. 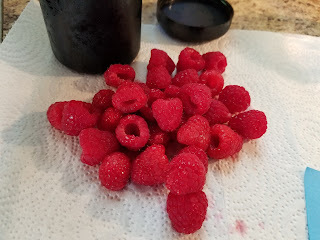 The berries in the mason jar were all mushy, rotting, molding and definitely smelling. Time to throw them out. They were not going back in the fridge. The berries in the Infinity Jar....still perfect. UNBELIEVABLE! Never have I had red raspberries for two weeks! Those things are usually beginning to mold at the store! No question which jar is doing a better job preserving the fruit. The berries from the Infinity Jar are virtually the same as they were two weeks prior. I am amazed at the results. I tested blackberries with this same method he blackberries lasted over 6 weeks! They probably would have kept going if I hadn't made a cobbler. 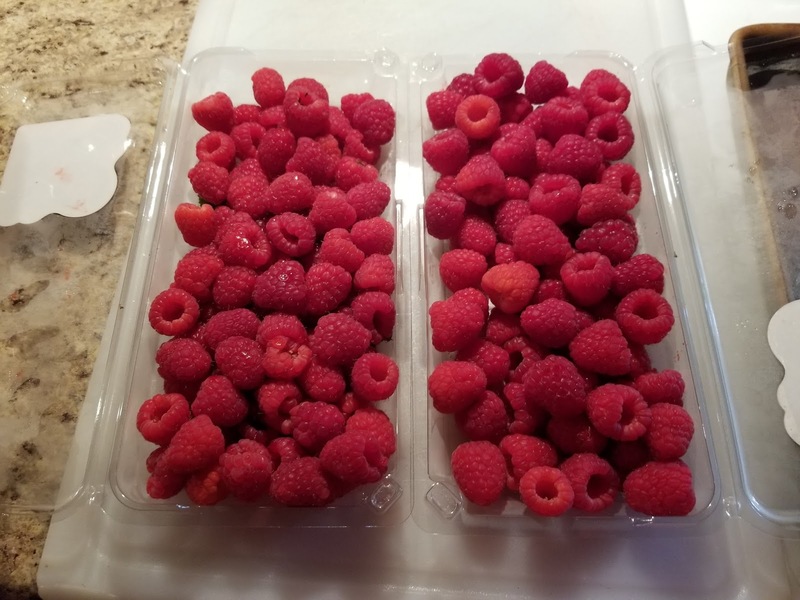 Same with the raspberries. Who knows how long I could have kept them fresh. I'm guessing another two weeks at least. I am so happy with my Infinity Jars I will be purchasing more. I currently have my chia seeds in one and pecans in another. Two items are so pricey these days I want to keep them as fresh as possible. If I bring home more berries I'm sure I know where I'll be keeping them. The great folks at Infinity Jars are so generous they are going to also give one lucky reader the chance to try out their jars! 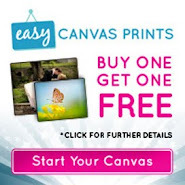 You can win a $30 gift coupon code to get your choice of products from Infinity Jars. They not only have the great jars like I chose, but apothecary jars, jars for oils, makeup and more! I can hardly decide which to get next. 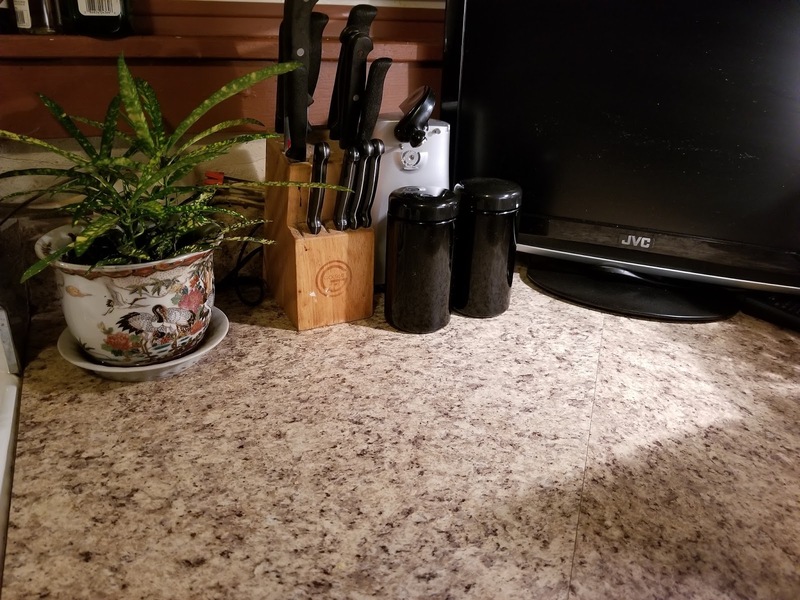 Not to mention they just look great sitting out on your countertop. To enter the giveaway, you must sign up to follow my blog. 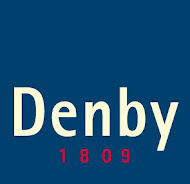 AND, leave a comment. The winner will be drawn Tuesday, July 4th. Good luck!